Like its award winning predecessor, the NSK3180 was designed to compliment any home or office with its black matte exterior and sleek front bezel with indirect intake vents. In addition to its striking appearance, the NSK3180 is constructed of SECC steel 40% thicker than competitors in its class. 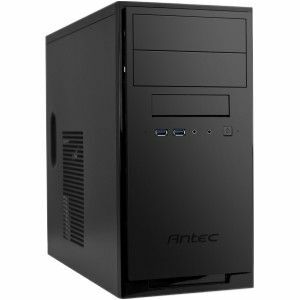 A balance of versatility and durability is achieved by integrating Antec's proprietary Quiet Computing™ technology with solid build quality and superior components. 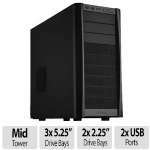 The NSK Series 3180 case supports both Micro ATX and mini ITX motherboards and has ample space for liquid CPU cooling, two 5.25" drives, two 3.5" HDDs, and one 2.5" SSD. 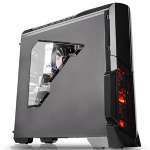 It contains two fan mounting points with room for four expansion slots. Finally, the front I/O ports include two USB 3.0s and audio sockets.